How the Stock Market Simulator Helps to Select the Best Stock for Investment? 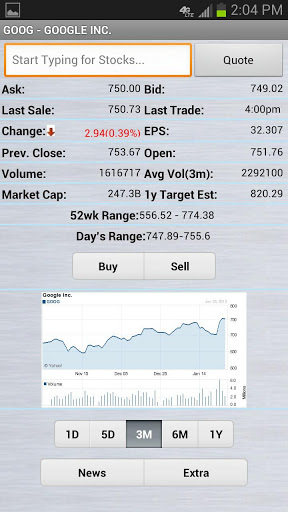 Now, with the help of Stock Market Simulator app, you may earn the return of your choice and desire. What you are needed is to start with just $10,000 and reach to the top of the return. 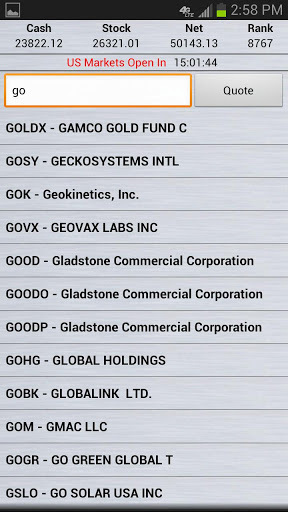 This app is developed on the real US stock market and is based on the 15–20 minutes delayed after the quote service at the stock board. PLEASE NOTE: This tool is not suitable for usage as the sole decision making tool while investing in real world and in the real transactions. The developers, Virtual Mobile Games, do not take responsibilities for any consequential losses that might arise from the misuse of the application. They inform the users that the set of information, available on this application, is just informative and should be regarded in the same way. 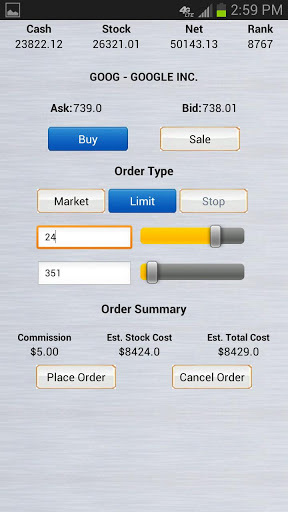 This app is developed for the new stock players to increase their knowledge base about the financial and stock market. After becoming expert, they may start sale and purchase of stocks, skillfully, without any worries, knowing the outcome of their transactions. Experienced investors may build a virtual portfolio to take easy track of the changes in the desired stocks. 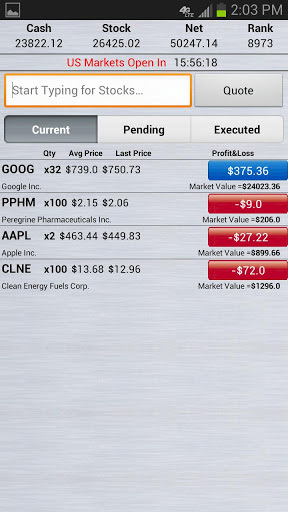 This app is the ideal for the students of stock market and finance. Please note: Stock Market Simulator do not support penny stocks.